Safety always comes first. Apparently this is the reason the Uttar Pradesh GRP has launched a helpline number for passengers. The number is WhatsApp based. So anyone who doesn’t use a smartphone yet might not be able to get its benefits. The helpline number can allow you to send your grievance or to report any crime incident. If you see any emergency on your journey, you can report it straight on this number. The number will straight give the incident report to the Director General of GRP Lucknow. They can be of quick assistance to you by your reports. If you have any grievances about the services inside the train then you can report the same on the number. The grievance will be sent to the nearest GRP station. The number has been made public by the railway police in Uttar Pradesh. This is one way to curb the crime reports that happen in the trains and also to report grievances. Whom and how will it help? It will help the passengers of the train who used to earlier have to go through a lot of hassles to complaint. Also previously there was no mention of any specific grievance method. Many a times the citizens used to go without filing any report. This did not help the administrations as they were unable to identify the problems regular commuters go through. By making this helpline, they have ensured that more and more people come forward to help railways improve their services. For a brief period, people used to use social media platforms like Railways’ Twitter handle and Facebook page as a grievance forum. Railways saw it as a good opportunity to provide people with the much needed assurance. However, grievances on Facebook could not be addressed properly because of lack of full details. So now the railways came up with a better idea to address this issue. It must be noted that the government already has a grievance portal. However, the issues that the travelers face are very volatile. They have to be addressed within a specific frame of time since they are on their journey. Many may not even have the accessibility of internet to access the forum. 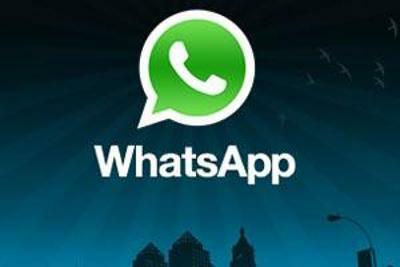 With WhatsApp, citizens will be able to report the crimes in a very swift manner.